Internetseite mit einer schönen Sammlung orthodoxer geistlicher Texte und Heiligenleben aus der griechischen Kirche. The "Orthodox Arts Journal" publishes articles and news for the promotion of traditional Orthodox liturgical arts. The Journal covers visual arts, music, liturgical ceremony and texts, and relevant art history and theory. The Journal presents these topics together to highlight the unified witness of the arts to the beauty of the Kingdom of God and to promulgate an understanding of how the arts work together in the worship of the Church. In the spirit of the revival of traditional Orthodox liturgical arts sparked by Kontoglou and Ouspensky, the Journal will publicize excellence in contemporary liturgical arts, emphasizing fidelity to the Church’s tradition of beauty and craft. The Orthodox Arts Journal is not affiliated with any ecclesiastical jurisdiction. 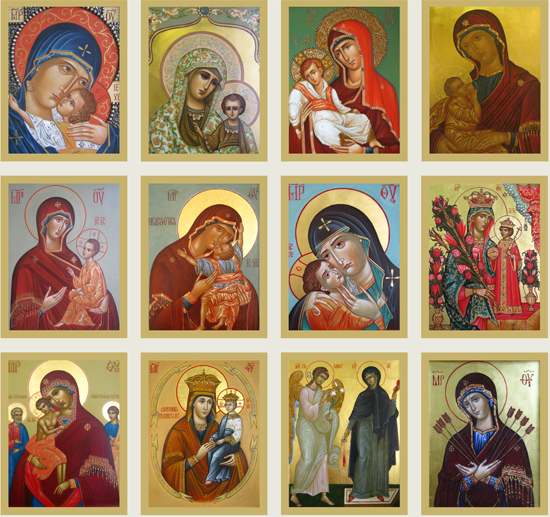 The staff and contributors are Orthodox Christians from a variety of backgrounds. The Journal operates with a blessing from Metropolitan Hilarion of Eastern America and New York (ROCOR). The Orthodox Arts Journal was founded in 2012 by Andrew Gould. Weiter zur Website "Orthodox Arts Journal"